Many believers simply no longer attach much spiritual weight to the simple act of opening up one’s Bible and delving in. In an age of distraction, we often simply do not place enough emphasis on the importance of reading the Scriptures regularly. When the going gets tough, which it inevitably does in life, we have a million and one things being offered as a healing balm for our grief — the problem is, these are counterfeits. We forget that the very promises of God, found in the Bible, can be the greatest source of profound truth and comfort we will ever know. As Christians, we must grasp that the Bible should be our anchor and an absolute rooting point for everything we hold to be true. 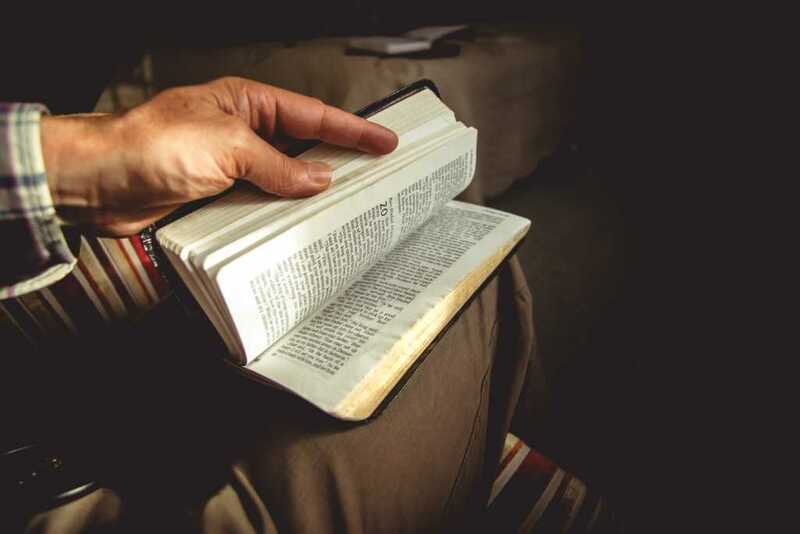 Without the Bible, we not only find ourselves estranged from God himself, but we begin to drift in a sea of confused theological ideas and modified precepts of what it means to follow Jesus. Moreover, when things get hard and the pressure is on, a profound deficiency in the knowledge of Christ may prove calamitous. We can learn a huge amount about the very character of God by reflecting on His inspired word. Not only this, but through the Gospels, we are privy to first-hand accounts of the life of Christ — something that we should see as extraordinarily exciting. This is our book — the up-close-and-personal story of our salvation that gives every human life purpose and value. It is incredible that we can read about the way Jesus behaved when He was here on earth. Through the Bible, we can learn from His example and know Him on a deeper level — we cannot get close to God unless we get to know Him through His word. In addition, through the story of Christ’s crucifixion, we come to realize afresh just how much He loves us — so much that He would suffer, and even go to the cross for our sins. Not only can we know Him deeply through our own suffering, but when we gain fresh revelation on the extent of His love for us, we can be transformed more freely into His likeness. Suffering does one or two things to Christians: it either causes them to flee from God in grief and confusion, or it drives them into the arms of the Lord. Through reading the Bible and truly getting to know the heart of God toward those who are downcast and in pain, you can be comforted in your time of grief and be assured that you’re being held safely in the arms of Christ at all times. We must know that He is a caring God. “When the world beats you down, open up your Bible,” says Proverbs 31 Ministries founder, Lysa Terkeurst. Indeed, when we feel as if the whole world is against us, and when we are struggling to see light at the end of the tunnel, the Bible offers us hope that transcends our circumstances and reveals something of the character of God. In addition, the Bible, through the words of Jesus and the promises put forward in Revelation, declares that there will be a time when “every tear is wiped away,” and all will be made new. In dark times, it is so crucial to know the Lord intimately so that we might be faithful to him through our times of trial — and a simple and effective way you can do that is through immersing yourself in the Scriptures. “When you open your Bible, God opens his mouth and starts talking,” writes Pastor Rick Warren in his “Daily Hope” devotional. You can catch us hosting a weekly discussion all about what we are learning in the Bible on the Faithwire.com Facebook page.